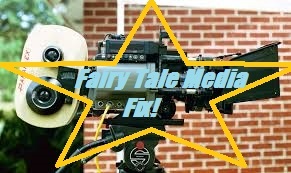 Fairy Tale Fandom: Fairy Tale Media Fix: The Adventures of Snow White and Rose Red. Fairy Tale Media Fix: The Adventures of Snow White and Rose Red. You know, sometimes fairy tale TV shows can hit a little close to home. It’s just not usually as literally as this. You see, just recently a new children’s show inspired by fairy tales and children’s stories debuted on Amazon Instant Video. The series, entitled The Adventures of Snow White and Rose Red, features a pair of sisters meeting fairy tale all stars in episodes designed to teach moral lessons to young folks. Doesn’t seem too out-of-the-ordinary, right. So, why does this specific show catch my interest? Because it’s filmed in the city of Saratoga. A city that at different points in history has hosted a Revolutionary War battle, been a tourist attraction for the wealthy (Saratoga is famous for its mineral water springs and wealthy tourists would go there to “take the waters”) and continues to be the location of one of the more popular race courses in horse racing circles. It also happens to be a little less than a half hour by car from where I live. So, I thought I should take a look and see what a locally made fairy tale production looks like (interestingly, not the only one. There was also supposedly a Twelve Dancing Princesses movie that was filmed in Saratoga too). And really . . . it was good for what it was. The truth is that the whole thing is clearly made on a shoestring. The sets seem to largely consist of a small cottage and surrounding woods. All the magic is done with camera tricks. The costumes, I think, probably come from a local college’s theater department. They don’t even try to use any kind of make-up to make the hare and dormouse in their Alice episode. They’re just a couple of kids who get referred to as “hare” and “dormouse”. I noticed this especially in the episode “Lots of Locks” in which Snow White and Rose Red help rescue Rapunzel from being trapped in a tree. Not even a particularly tall tree. But I guess that’s as close as they could get to a tower. The actors do okay, even though I’m pretty sure a lot of them are recruited from the local theater scene (as small as it may be). Especially the kids. There are a fair number of kids playing fairy tale characters in this show. Yet, the show feels like the creators had a rather rock solid vision for it and carried it out. It’s an old-fashioned kids show that teaches basic morals and lessons and which is played mostly straight without any sort of unnecessary irony. They also pull more from the expanses of European fairy tales than a lot of productions do. Granted, they could probably do to draw a little more on their own title story “Snow White and Rose Red”. But their final episode draws from the Grimm tale “The Golden Key”. So, kudos to them. It may not be any kind of appointment viewing for me, but I wish them lots of luck and I hope their target audience takes to it. I also wish them bigger budgets for the future. Four-Color Fairy Tales: Spider-Man Fairy Tales.